Medici is returning to Netflix for a second season this January, and a new trailer gives us a first look at what the rejigged period drama will look like. The Italian series, which is a co-production between the streaming giant and Italian broadcaster charts the tale of the Medici family. The eight-episode run will pick up 20 years after the first season, following Lorenzo the Magnificent, the grandson of Cosimo, played by Richard Madden in Season 1. Bradley James will follow in Madden’s heartthrob footsteps, playing Lorenzo’s brother, Giuliano. Fear the Walking Dead’s Daniel Sharman, meanwhile, has signed on to play Lorenzo. Season 2 takes us to the heart of the Renaissance through, where an attempt on Piero de Medici’s life forces his son, Lorenzo, to assume leadership of the family-run bank. Once in power, young Lorenzo resolves to do things differently, which swiftly brings him into conflict with the head of Florence’s other powerful banking family, Jacopo Pazzi, played by none other than Sean Bean. Medici: Season 1 and 2 are available on Netflix UK, as part of £7.99 monthly subscription. Merlin’s Bradley James has joined Netflix’s Medici: Masters of Florence. 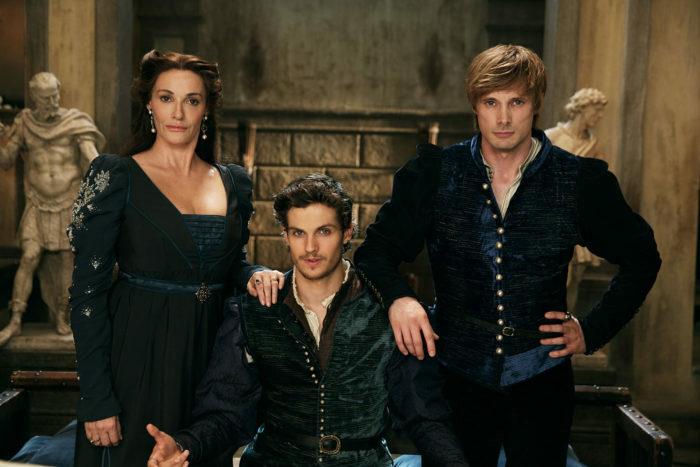 The Italian series, which is a co-production between the streaming giant and Italian broadcaster Rai, was renewed for Season 2 earlier this year, continuing the tale of the Medici family. The eight-episode run will pick up 20 years after the first, following Lorenzo the Magnificent, the grandson of Cosimo, played by Richard Madden in Season 1. Along with a new setting, the season will also have a new face behind the camera: 24 Legacy’s showrunner Jon Cassar will direct and produce four of the eight episodes, with Frank Spotnitz staying on board as an executive producer the series. Now, the series is lining up new faces in front of the camera too. Bradley James will follow in Madden’s heartthrob footsteps, playing Lorenzo’s brother, Giuliano. James is best known for his swoon-worthy performance as a young King Arthur in the BBC’s fantasy series, and has since starred in Damien as the eponymous character and appeared as Lowell Tracey in iZombie. Fear the Walking Dead’s Daniel Sharman, meanwhile, has signed on to play Lorenzo. The show will see Lorenza forced to take over the family bank, which has been mismanaged by his father, Piero (Julian Sands). Along with their friend, Sandro Botticelli (Sebastian De Souza), the brothers set about trying to make Florence a great financial and cultural centre, reports Variety. Their efforts will be opposed by Pope Sixtus IV (Raul Bova) and the Pazzi family – led by Jacopo Pazzi, played by Sean Bean. Other new cast members include Sarah Parish as Lorenzo’s mother and Alessandra Mastronardi (Master of None) as his mistress. Shooting on the $28 million production will begin in Rome on 24th August. 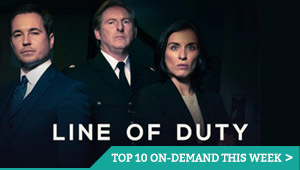 Season 1 is available on Netflix UK. You can read our review here. Sean Bean has signed up to star in Season 2 of Netflix’s Medici. The Italian series, produced by Lux Vide and Big Light Productions, was created by Frank Spotnitz (The Man in the High Castle) and Nicholas Meyer and follows the Medici banking dynasty in 15th century Florence. Season 1 saw Dustin Hoffman play the murdered head of the family, with Richard Madden as his son, Cosimo, who strives to unmask his father’s killer. Season 2 will take place 20 years later, with Season Bean set to appear in the period epic. He will play “poker-faced scheming aristocrat” Jacopo Pazzi, reports Variety. While Season 1 was called “Medici: Masters of Florence”, Season 2 is likely to be called “Medici: Lorenzo the Magnificent”. Nonetheless, Madden is in talks with the producers to appear in some flashback sequences, maintaining a sense of continuity between the two. Along with a new setting, the season will also have a new face behind the camera: 24 Legacy’s showrunner Jon Cassar has joined the season, agreeing to direct and produce four of the next eight episodes. Spotnitz will stay on board as an executive producer the series. The sophomore outing will be co-produced by Italy’s Lux Vide, public broadcaster RAI, and Big Light. Variety notes that Season 1 was a “runaway hit” for RAI 1 in Italy. 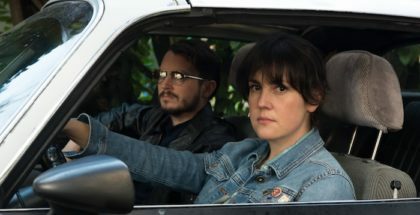 With Lux Vide continuing its push into English-language TV to secure international attention, the co-producers clearly have ambition for Season 2, with a budget of €24 milllion allocated to the project. Netflix holds the rights to the show in the US, UK, Canada, India and Taiwan. Telefonica has bought it for its Movistar Plus pay service in Spain, while cable and telecoms group Altice will carry the show in the Netherlands. Shooting starts in August across locations in Italy, with a planned release date of 2018. Netflix has snapped up the UK rights to Medici: Masters of Florence and Syfy’s Van Helsing series, VODzilla.co can confirm. Created by Frank Spotnitz (The Man in the High Castle) and Nicholas Meyer, Medici: Masters of Florence is an eight-part Italian series starring Richard Madden and Dustin Hoffman. The English-language drama is set in Florence in the early 15th century, where Cosimo de’ Medici (Madden) finds himself at the helm of his supremely wealthy family, when his father, Giovanni (Hoffman), dies suddenly. However Cosimo is concealing a dangerous secret – Giovanni was murdered. Now Cosimo must unearth his killer in order to protect the wealth and power of the family. Aided by his brother, Lorenzo de’ Medici (Martin) and his trusted servant, Marco Bello (Caprino), Cosimo searches for his father’s killer. Top of his list of suspects is arch-enemy, Rinaldo Albizzi (Shrapnel), his one-time friend. The show is produced by Lux Vide and Big Light Productions. Spotnitz and Luca and Matilde Bernabei (Coco Chanel) serve as executive producers. It premiered on RAI in Italy last month, when it drew record audiences. 7.6 million viewers tuned in for the opening episode, according to Italian ratings compiler Auditel, even beating the ratings for the Juventus Champions League match that was on at the same time. Wild Bunch handled the international sales for the series, with Rai already ordering a second season. This is not the first time that Netflix and Rai have crossed paths, with the two pairing up for a gangster series following on from the recent crime thriller Suburra. Netflix has the exclusive rights in Canada, Ireland and India, as well as the UK. Medici: Masters of Florence premieres on Netflix UK on Friday 9th December. Update 28th November: Comments from Spotnitz and Bernabei added. Van Helsing, meanwhile, is a total re-imagination of the timeless Dracula character. 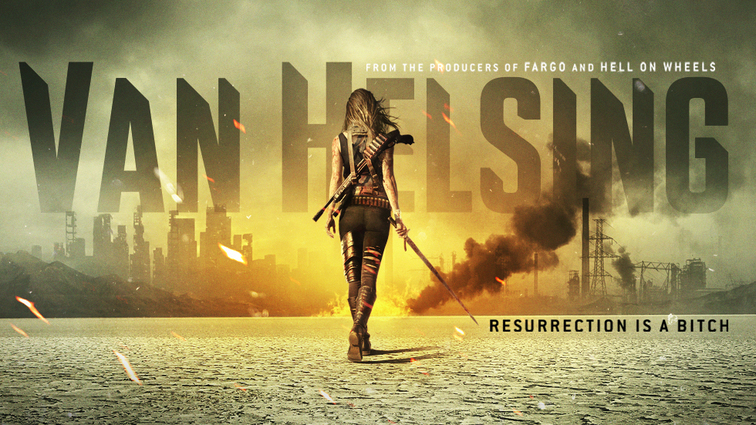 The 13-episode hour-long drama premiered on Syfy in September, starring True Blood’s Kelly Overton as Vanessa Van Helsing. 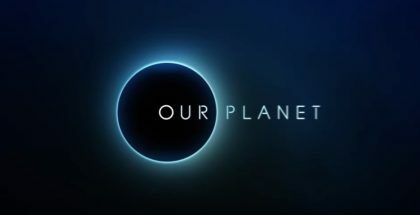 Produced by Nomadic Pictures, with executive producers Chad Oakes and Mike Frislev, and Neil LaBute as showrunner, the series follows the last remaining underground vampires, who, after a catastrophic volcano eruption, rise up through a dark, ash-filled sky to overtake America. Vanessa, a descendant of the legendary line of vampire hunters, awakens from a three-year coma to discover that she’s not only immune to the bloodthirsty predators, but also has the ability to make them human again. With this “cure” threatening the vampire’s existence and a target on her back, can Vanessa save humanity? Overton is joined by co-stars Jonathan Scarfe, Christopher Heyerdahl, David Cubitt, Vincent Gale, Rukiya Bernard, Trezzo Mahoro, Aleks Paunovic, Laura Mennell, Tim Guinee and Paul Johansson. Syfy has already ordered a second season, with production expected to begin January 2017. 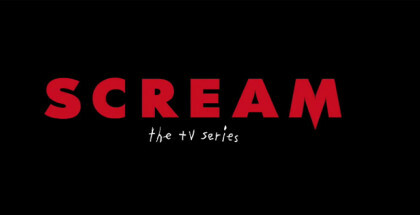 Netflix’s deal with Dynamic Television gives it the exclusive streaming rights for the series. The two agreements are the latest in a rapid string of exclusive acquisitions, following recent deals for Syfy’s The Expanse, CBS’ Star Trek: Discovery, ABC’s Designated Survivor, The CW’s Frequency and USA Network’s Shooter. Van Helsing arrives on Netflix UK on Saturday 17th December. 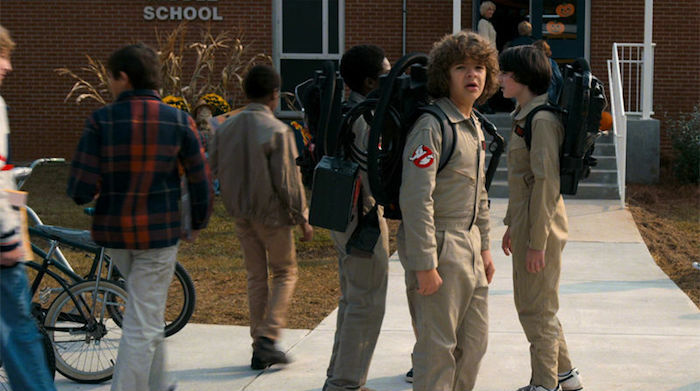 For more on what’s coming soon to Netflix UK in December, click here.